You know something is good when it’s always sold out! I’ve been seeing the Milani Strobelight Instant Glow Powders all over Instagram for months. But, sadly, couldn’t try them because they’re so dang hard to find. Almost impossible! Finding a store that carries Milani is already a struggle. Finding the Strobelight Instant Glow Powders was even worse. Who knew it could be so tough to find a highlighter? 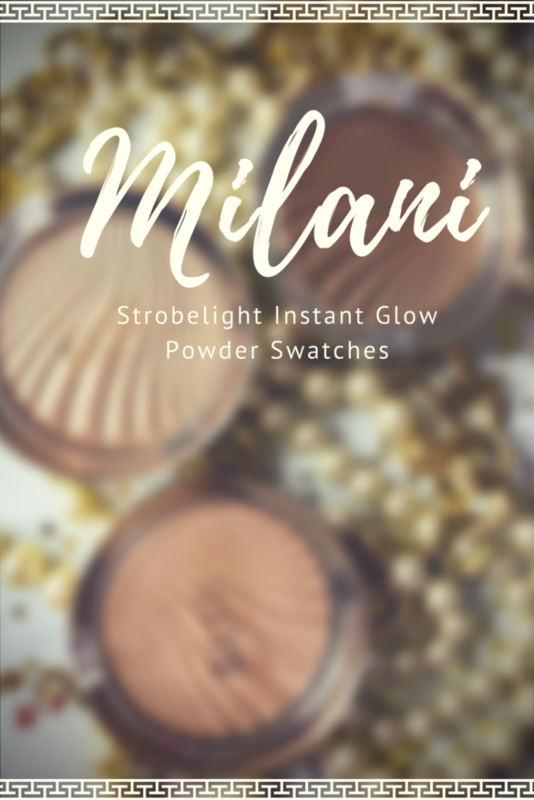 I hate tracking down makeup but Milani definitely makes up for it with the Strobelight Instant Glow Powders. These highlighters are fantastic! The formula is quite impressive for just $10. In fact, the MilaniStrobelight Instant Glow Powders rival some of my high end highlighters like Too Faced’s Love Light Prismatic Highlighters, for example. They’re smooth, easy to apply and blend, and seriously gorgeous! Dayglow is a soft champagne with golden shimmer. It’s suitable for all skin tones but works best with fair to medium skin tones. Sunglow is a soft, warm gold with golden shimmer. It’s the most versatile shade working for all skin tones from light to deep. Glowing is a deep bronze gold with golden shimmer that works best for dark to deep complexions. This one is my favorite, hands down! It looks beautiful on chocolate cheeks and offers a sun-kissed glow that’s perfect for summer. It can also be used as a bronzer (or eyeshadow) for light to medium complexions. Do I need the Milani Strobelight Instant Glow Powder? Depends. I think the Strobelight Instant Glow Powders are a must have if you really need a good highlighter or you’re just starting out. However, if you have a ton of warm, golden base highlighters lying around then chances are you aren’t missing out on much. But for just $10 how can you resist? ? ← Moisturizer VS Leave-In Conditioner: What’s the Difference?